Union Pacific Freight Train Derailment, Bridge Collapse & Repair A Union Pacific freight train derailment occurred in north central Nevada on December 27, 2008. The derailment happened in a remote area along the Humboldt River about 10 miles west of Carlin and 260 miles east of Reno; see the photo slide show. 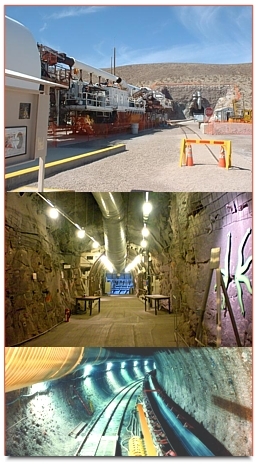 Yucca Mountain Tour — This page contains photos of the Eureka County Commissioners' tour of Yucca Mountain. The delegation from Eureka County visited the site of the proposed nuclear waste repository in May of 2001.